Here are 4 of the top myths to avoid when it comes to HOW you manifest your goals. Maybe you’ve read books on how to use your mind to create goals and manifest big dreams, such as Think and Grow Rich by Napoleon Hill, or The Success Principles by Jack Canfield,. In our experience, sometimes people get confused, and the tools for manifestation start working against them. Let’s begin by clearing up these four areas. This is an important distinction to make between not ruminating on negativity but instead paying attention to it as a signpost towards success. There is a notion that you make things worse by focusing on negative issues. But really its more about seeing the negative as fuel for growth. We can’t avoid the negative, it’s a huge part of our world, the purpose of which is like barbells at a gym…the heavy lifting builds muscles, resilience and strength of character. It’s like people who ignore the symptoms of a growing illness and end up regretting not doing something about it sooner. Instead, the trick is to reframe how we see negative issues and do something about them sooner rather than later. Of course many of us know this intellectually, that it’s important to see the negative as a symptom of something that needs healing, as a learning tool, a gift in disguise – but it’s another thing to apply it to your own life. Because looking at an issue in your life from that place of wise discernment can make you feel very uncomfortable. For example, I had a client who was in a relationship with a man who kept borrowing larger and larger sums of money saying it was for a business venture. She wanted to be a supportive person, to focus on the positive aspects of the relationship. Finally she revealed to me what was going on and why she couldn’t afford to pay for a trip her son wanted to go on. When I helped her make the distinction between ignoring the negative and using it as a tool for transformation, it gave her the courage and curiosity to find out what was really going on. She needed to ask herself over and over again — what do I need to learn here? The answer she got was to be more assertive and forthright and direct in her questions of what he was doing with the money. We rehearsed what she would say, and helped her get untriggered about the situation first before approaching him. And she needed to be willing to face whatever was really going on, which of course could mean the end of the relationship. Once she got there, she asked him point-blank, from an openhearted place, so he could do nothing else but tell her the truth. The money was supporting a bad cocaine habit. It was worse than she thought. The bad news is that it did break up the relationship, but the good news is that they remained friends and she helped him get into treatment, and he’s now off drugs. So her breakthrough ended up also being a breakthrough for him. So, think about a negative issue in your life. How can you bring courage and curiosity to the issue, to find out what’s really going on, what you need to learn here, what needs to transform, even if it’s uncomfortable. Because in the end, you’ll probably be very relieved that you did this, and perhaps others involved in the issue as well. Setting a definite versus a wishy-washy intention is the first and most important goal for manifestation. Because if you don’t know what you want, you don’t know what to focus on. What you focus on grows: Energy flows where attention goes. So, the mere fact of getting clarity around a goal puts you in a better position of getting it. However, the way the Laws of Manifestation work, without action the field of possibilities literally CANNOT bring it to you. Focused action galvanizes the field of possibilities to reciprocate. The more you take action to make your goal a reality, even if it’s the wrong action, the more you are reassuring the field that this is what you want and the field meets you half-way to make it happen. For example, I had a client who wanted to speak at a TEDx event. I created a mental rehearsal audio blueprint where she saw herself getting an opportunity and standing there on stage getting a standing ovation, her video going viral. Then I also sent her all kinds of audition notices, and told her how to contact the organizers, but she never did that part. She thought that just envisioning herself speaking on a TEDx stage was enough…that someone would ask her. Now, the universe was meeting her halfway by getting to hear about these opportunities from me, but I found out she didn’t see it that way. That was just me helping her as her coach, not the Universe responding to her intention. It turns out she was waiting to be asked. 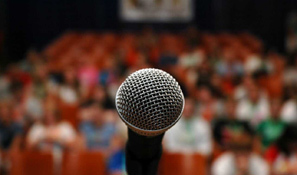 The problem is, unless you are already an established speaker, chances are you won’t get asked. She was an unknown. Underneath that, of course, was the fear of rejection, fear of failure, fear of success, what would she talk about, what if people didn’t like it, what if it was too much work? So once we identified those subconscious fears that were sabotaging her and blocking her from taking action, we could do turn arounds on them. Then, she had no problem filling out the applications to audition and eventually did speak at a TEDx event and was very successful. So, think about that for yourself. Is there an area of your life that you keep seeing yourself doing it, feeling yourself doing it, but not actually taking any action to do it? If so, don’t beat yourself up about it. Just put something in your task list, one small little step in that direction, to show the universe that you mean business. In fact, the first 4 TEDx events she made a proposal to, all rejected her. But the good news is, she kept going. That was like the universe testing her resolve. And the universe will do that to you. How much do you really want this? I’m not going give it to you right off the bat, but if you keep coming back to the plate, to play ball, I will reward you with opportunities. This is a free will universe. You can choose what you want your life to be like. This puts you in the driver seat and gives you the responsibility for all your experiences. So, even if the universe does know what’s most beneficial for your growth and expansion, still you can make a choice to resist it or walk a whole different path. It’s part of our soul’s purpose to find our own way. Sure, you can get guidance by following your intuition, your inner compass, but still at some point you have to decide what you want. That’s the game we’re playing here. The Universe, the field of possibilities, responds to clear requests – good or bad. For example, I had a client who was was part of a network marketing company selling nutritional products that had made a huge difference to her health. Her dream was to work her way up as an independent business rep for them, working from home so that she could be home with her kids more, travel more, and leave her job which she disliked. She focused daily on that dream and the Universe responded. Her boss told her one day that the Insurance company where she worked was asking for some people to willingly take a layoff package. That meant she would have a tidy little sum of money, and far more free time to pursue her business. She thought about it for a while but then decided to stay at her job. She didn’t like the idea of having no secure income each month. She’d do it next year when she was earning more money in her network marketing business. The field responded in kind and a promotion showed up in the Insurance company that required far more of her time, doing managerial work which she didn’t like, but paid a bit more money. Regular money every month. She thought at first that was meant to be, because that’s what showed up. Meanwhile, her sideline business started going down. The truth is, the Universe will support your decisions, because it doesn’t judge what you want. It is just like the Law of Gravity. What goes up must come down. Whatever you decide, whatever you feel safe having, whatever you think you are worth, that’s what comes into the field of opportunity. Now, the tricky part is often people are making those decisions like staying a job you don’t like, at a subconscious level. That’s what we realized she was doing. But the good news is that, once she made that distinction, where she realized how her subconscious desires, below her awareness, were dictating what the universe was bringing in terms of opportunities – she could then transform it. Instead she made a definite decision in her heart, to forgo security of regular income in favor of all the things she said she wanted – to work for a company where she really believed in the products and services, to work from home, to work with people who loved what they were doing. And she reread that intention daily, imagining herself full-time in that new role, doing the necessary actions to make that happen..and the universe responded. Her boss felt she wasn’t really managerial material and fired her. And while you may say about this situation – be careful what you wish for– because she got a severance package which was far less than the one she would have gotten if she willingly chose to get laid off. Still, it was the universe responding in kind to the new decision..one that gave her the spare time to build her new business. So this time she took the hint. The good news is that three and half years later she’s making more money than she did in her managerial position and has the lifestyle that she actually wants. Was it easy-going the whole way? No, but she was much happier because she felt on purpose and that she was in the driver seat, making the choices, and aligning herself with how the laws of manifestation work. So, think about that for yourself. Has something ever shown up in your life that you assumed was meant to be, and then in retrospect you realize it wasn’t? It was just the Laws working how they work. If so, don’t beat yourself up, just extract the learning from that situation, forgive yourself and move on. And also ask yourself if there is something right now that is showing up seemingly synchronistically… Is it really the right path for you, or is it just the field responding to either negative conscious or subconscious beliefs and desires? Usually you have to grow personally to become a person with a different reality from the one you have now. For example, the client I just talked about had come from three generations of people who worked in the insurance industry. Everyone she knew had a job with a secure pay check. To leave that and be a business owner, meant dismantling the foundation upon which she’d lived her whole life. It’s like doing a renovation on your house, where you’re stripping it down to the studs, while living in there at the same time. It can be dusty, inconvenient and uncomfortable. But of course, if you stick it out you have this amazing new, better house to live in. Changing your old behaviors can be very challenging. She had to get used to giving herself structure for the day, because no one was going to do it for her as a business owner. She only got paid if she took risks every day, facing rejection. That never happened in her administrative job in the insurance company. She didn’t have to face rejection every day at all. Of course, in the beginning she was bad at all these things. She didn’t know how to run a business, everything was slow and cumbersome. Her presentations were awkward and just made people want to run away. But the truth is, that’s often how it is for everyone starting a new business. It’s like you have to pay your dues and go through these uncomfortable situations before you earn your Scout badge and get the skills you need to be successful. You don’t usually get success right out of the gate. Otherwise you wouldn’t grow as a person. But, the more she kept at it, the easier it got. She wanted to quit many times and that’s why being part of a group of success minded people, getting coaching was really important for her – because she wanted to quit many times over. Of course, like everyone says the miracles happened once she went outside her comfort zone! But it’s one thing to read a nice Facebook quote about that, and it’s another one to stretch yourself outside YOUR comfort Zone and actually experience getting the rewards life then brings you. It teaches you at a deep subconscious, instinctual level that it’s often worth the risk, as long as you thought it through well. And that gives you courage moving forward. Think about that for yourself. 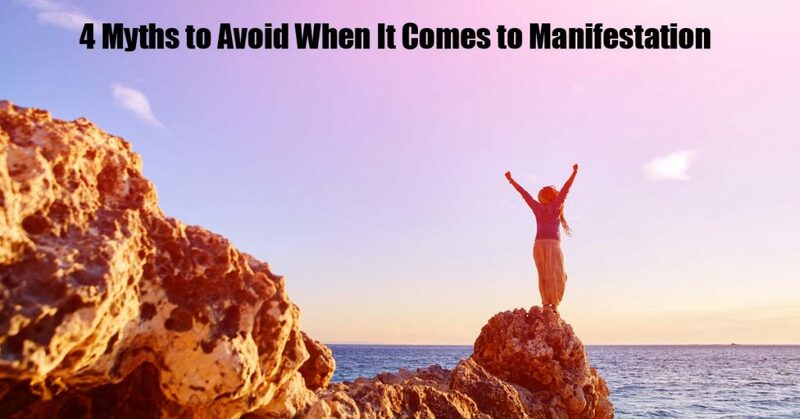 Have you ever set a definite goal and then life started to bring you situations that helped you manifest it and those situations made you very uncomfortable? It’s pretty common. If so, have compassion for yourself. Personal growth can be stressful. Breathe into the fear. What can be helpful is to actually imagine yourself bravely walking into the fire of transformation, allowing the old beliefs and self images to burn away. So, face it with an open heart, be willing to learn. Just your openhearted willingness alone in that way, will make the whole process so much easier. Did you ever believe one of these myths? If so, type it into the comments. I certainly believed all of them at certain points in my life…and paid the price. I’m sure you also know people who live by these myths and get in trouble because of it, too. Also, feel free to add other myths that you think people get stuck in, either you or people that you’ve seen in your life. We can all learn from each other here. Are you feeling stuck and need a mental breakthrough? 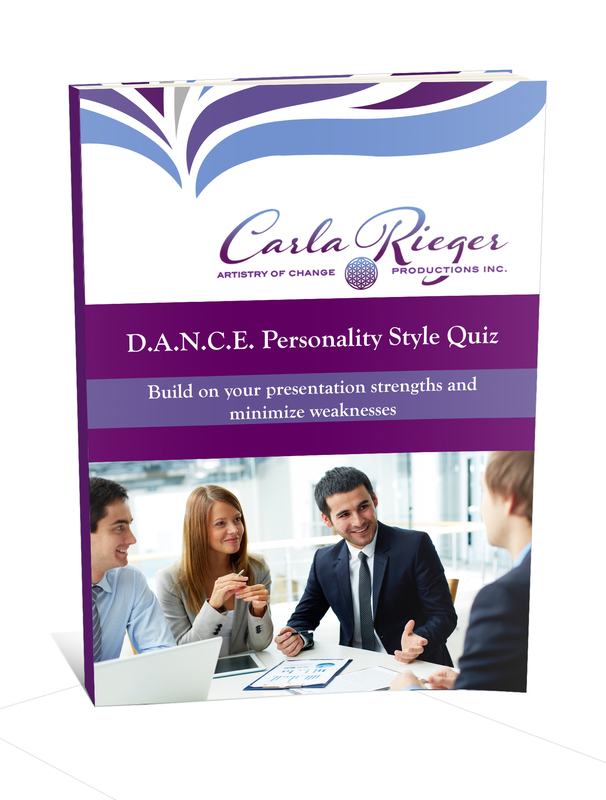 Check out our FREE online training on “The Art of Mindset Mastery” with Carla Rieger this Tuesday. You’ll discover a process that you can use over and over again. Come with a specific issue and you’ll learn how to let go of subconscious stories that you didn’t even know were stopping you. It will help you get back into the flow of success again!